Dr Nicky Ringland is a Computing Education Specialist at the Australian Computing Academy and Outreach Officer at the National Computer Science School. She completed her PhD in Computational Linguistics (Computer Science) at the University of Sydney in 2015. Nicky has been a champion for technology outreach for the past decade. 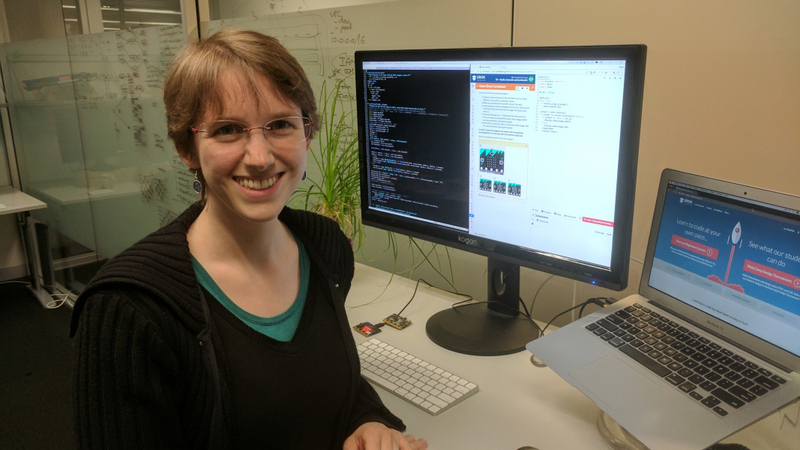 She helps run the National Computer Science School (NCSS) and NCSS Challenge; she founded the Girls' Programming Network, and has run various professional development workshops across Australia, including workshops for Google's CS4HS program and the University of Sydney's COMPASS program for low-SES students. Tens of thousands of Australian students and teachers have been through her programs over the last 10 years. Nicky founded Grok Learning, one of Australia's leading edutech startups, to dramatically expand the reach and impact of her efforts in computing education worldwide. Nicky is passionate about teaching the next generation to become the more than technology consumers, but the creators of tomorrow. She has won several awards and scholarships, including the University of Sydney Faculty of Engineering and IT 2016 Young Alumni Award for Achievement, Google Women Techmakers scholarship, and the 'Making IT Happen' award, awarded by the International Society for Technology Education.